Alice is an international student from Belgium, who was studying at York University. After getting accepted onto a masters course in London, Alice had to work out what to do with her stuff in the summer before the move. Not wanting to lug all of her stuff back to Belgium just to bring it back to the UK a few months later, Alice needed to find the most convenient student summer storage solutions. She knew she wouldn’t need items such as her bedding, books, stationery and kitchen equipment back home over the summer so it made more sense to leave them in the UK ready to use again in September. Having used traditional self-storage units before in previous university holidays, Alice knew all too well the hassle that was involved in arranging van hire to transport the things to the unit and again to collect them. This put her off wanting to use a service like that again, and as she was moving between cities it would have been even more difficult to collect her things from York and drive them down to London. 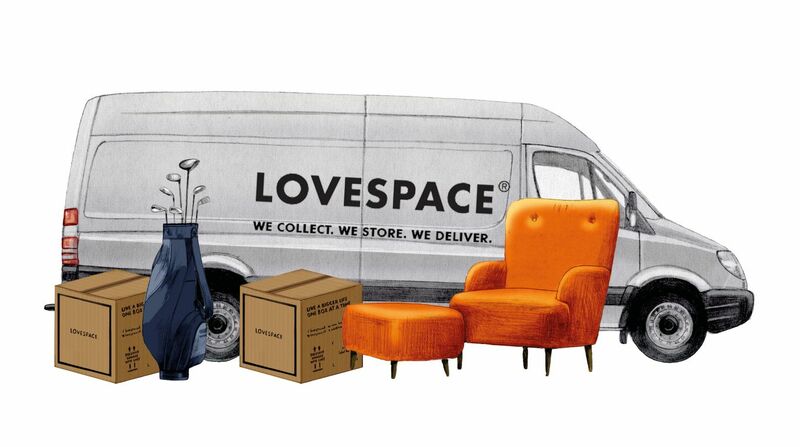 When Alice googled convenient storage services with collection and delivery she came across LOVESPACE which was perfect as it serves the whole of the UK. Happy with the 5* rating on Trustpilot and other student reviews, Alice booked her packing materials and storage with LOVESPACE online. Kitchen equipment, stationery, study books, bedding, clothes and other bits and bobs. Read Alice’s full review on Trustpilot here.